We all want to have beautiful looking homes, but in order to do that we need to paint them. 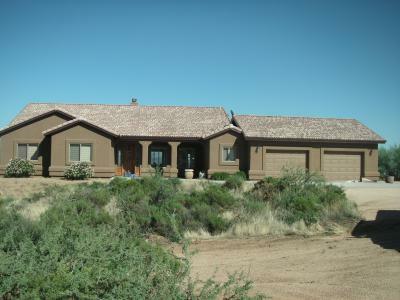 House painting in Mesa, AZ takes patience and it also takes training and knowledge. If you want to have the best house painting in Mesa, AZ done for your house then you need to come take a look at our company. We specialize in making your house look the best it can be by hiring professional painters that are trained to be courteous, clean, and neat on the job. We take pride in our ability to take care of your home. We also take great pride in not only our business but in our house painters, as we feel it is necessary to provide you with the very best. The first thing we do is carefully screen our house painters so that we only have the best contractors that are trained well to do the job. Our friendly staff can answer your questions at any time going over your estimate, your timetable and any color coordination you might want to discuss. Do you have a plan and a color picked out in mind? That's great! We can help you with that and get right on down to business. If not that's OK too, our coordinators are trained along with our house painters in order to match your house and give you a great fresh look. Don't hire the first person you see just because they might have a cheaper price. That price leads to cheaper quality work in which case you'll have to redo that job again sooner than later. Instead give us a call today at (480) 377-2468 and let us help you get your house painting in Mesa, AZ done the right way. We will not only get the job done right the first time but we will leave you feeling extremely happy when we're done.